Another botanicals review? Yep… as you know that recently I just change my skin care routine from chemicals to organic and natural so I need a lot of reference about organic and natural product. 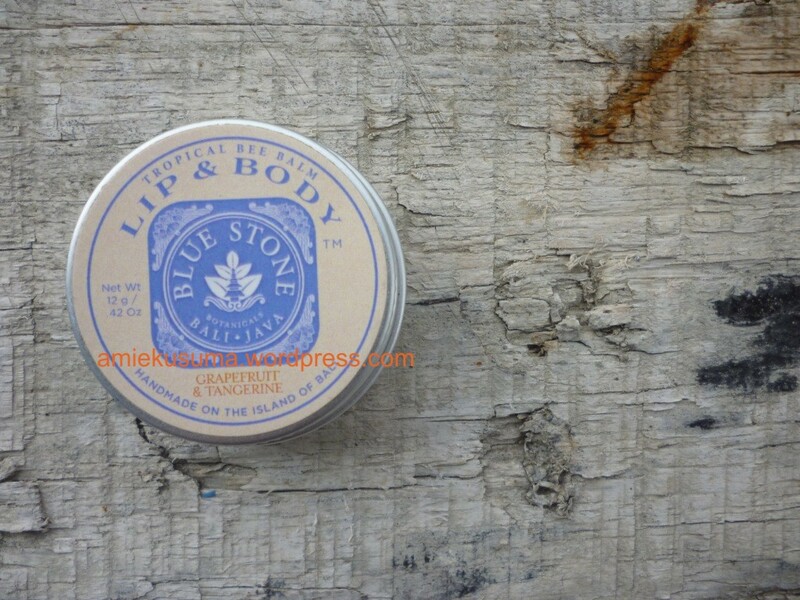 After a bit review about Sensatia Botanicals (click here), now it’s time for me to write about Blue Stone Botanicals (BSB). Sounds like Backstreet Boys ha… #LOL. BSB was formed and manufactured in Ubud. They actually focus on producing essential oils and its derive product such as lip balm, body mist, aromatherapy or soaps. BSB is different with sensatia which is more focus on skin care product to enrich and repair our skin with or without using essential oils. BSB is mainly produce for living things using benefits of essential oils. BSB actually is more traditional because they don’t open any authorized store overseas and it’s purely founded by Indonesian. And I think they are more exclusive, in terms of they didn’t produce in a mass. 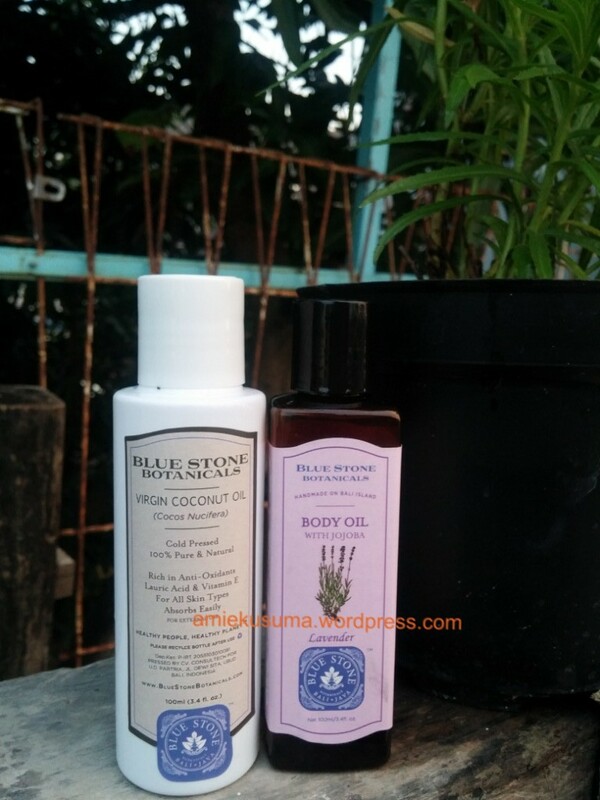 So here I’d like to review 3 products of BSB; tangerine lip balm, lavender body oil, and virgin coconut oil. There are three various lip balm in BSB. I found that this is the best lip balm I’ve ever tried. It’s easily absorbed and gives a moist effect and supple to your lips. It is packaged in a small tin which is very handy, but we have to apply with our fingertip. I suggest you to use cotton bud to avoid the bacteria from our hand. I just hope that there will be a stick packaging. Lavender has many benefits for our skin.The health benefits of lavender essential oil include its ability to eliminate nervous tension, relieve pain, disinfect the scalp and skin, enhance blood circulation,treat respiratory problems and bug repellent. Probably some of you might asked why body oil? why not body lotion? Well, as you know that our body consist of water. And our skin has it’s own unique procedure to keep our skin moist, but problems will come if you are in very cold temperature. Using body oil will help you to maintain the natural procedure of your skin to adapt with temperature. Lotion will only help you to add water on to your skin but then it’s gone. You can prove it by reading the ingredients of body lotion, mostly says water as the first thing. It means 90% of the body lotion is water. That’s sounds a bit silly. Backt to the review of the product, I found by using this product my hand become moisture longer than without using it even when I was in a room with AC. I used to use this oil for massage. Seems like my skin say thanks to me. The only problems is the smell, it seems like the smell of jamu. The only reason I buy this product is because it can clean an HD makeup. Sometimes if we go to the wedding party or school assembly we need a bit HD make up to looks better. An HD make up cant easily remove using facial wash, it will create an acne and skin face problems if we did’nt clean it properly. Mostly make up remover using alcohol in it. I need another alternative and I found that vco can be used for clean an HD make up, and the result is awesome, I can erase an waterproof foundation in seconds. I haven’t tried it for eyeliner waterproof, but for mascara it works well also. Beside that vco It can be use for carrier oil as a mixture of essential oils for face oil. We can’t use essential oil directly to our skin because its high concentrate, all we can do is dilute with carrier oil and apply it to our skin. 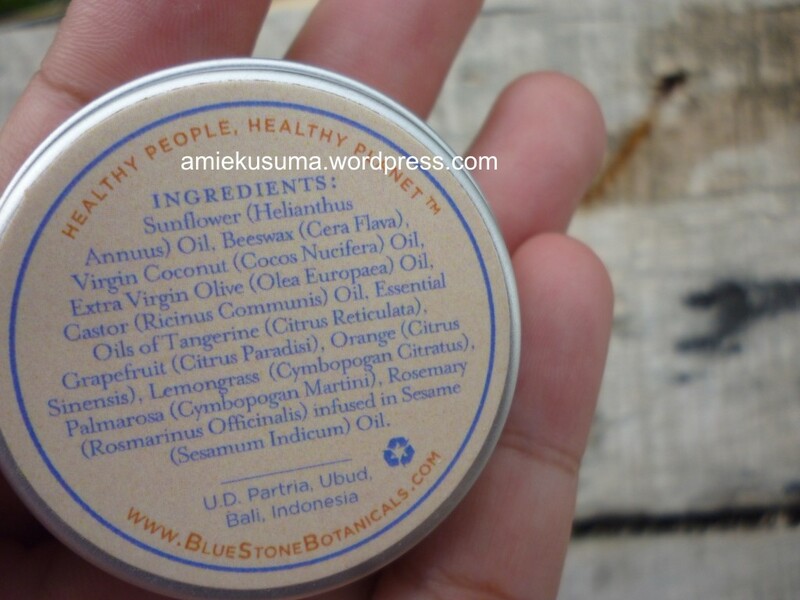 By writing this review, I just want to introduce a good quality Indonesian product which has more benefit compare to the giant commercial skin care brand ^^ . As an Indonesian citizens we also have responsibility to support our local product. Hope this review will help you to arrange your daily natural skin care routine.